If you have something to say about the Arts and Foreign Language courses of study, here’s your chance to step up and be heard. 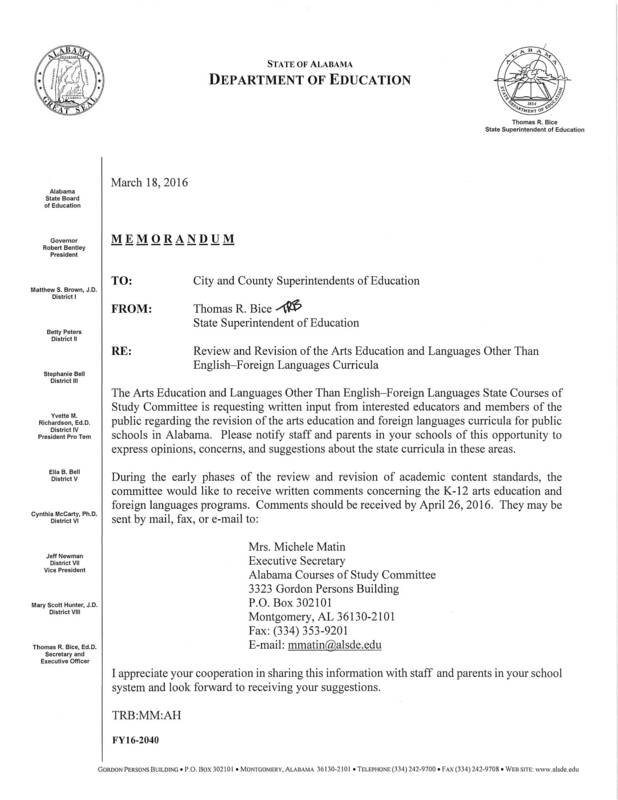 The Alabama State Department of Education (ALSDE) sent a notice to all superintendents to let interested educators and members of the public know that they have the opportunity to submit comments about the changes they’d like to see. Neither arts nor foreign language are specifically required in order to receive a high school diploma, but credit for these courses can be used as part of a combined career technical/arts/foreign language 3-credit requirement toward earning a diploma. Students heading to college should note that some colleges require students to have taken a foreign language and/or art class prior to admission into college. 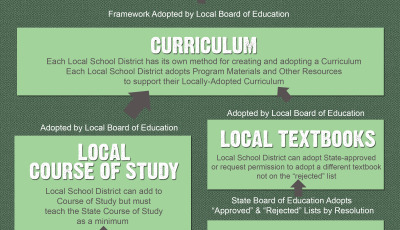 Students should make certain to know what those requirements are before graduation. For example, the University of Alabama does require applicants to have one year of a foreign language, while Auburn University does not list foreign language as an entry requirement. Nearly all of Hoover High School’s students expect to attend college, according to Bond, and individual student needs must always be considered. The course of study committee, appointed at the January board meeting, is in the early stages of their task to recommend changes to these areas of study. The current course of study can be found here: Arts Education, and Foreign Languages. Both were adopted in 2006 and effective in the 2007-2008 school year. According to a timeline published on the ALSDE site, these courses of study are set to begin during the 2018-2019 school year. Deadline for written comments is April 26. All courses of study can be found here. Can you add an “s” to “art?” It’s the Arts Education Course of Study, including theatre, dance, music, visual arts, and maybe media arts. Art implies just visual arts. Done. Yes, it is the Arts Education Course of Study. My apologies. Thank you for letting me know. Can you add an "s" to "art?" It's the Arts Education Course of Study, including theatre, dance, music, visual arts, and maybe media arts. Art implies just visual arts. I would like to see the Fine Arts Education Course of Study separated from the Foreign Language Course of Study.